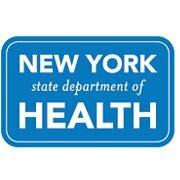 In an effort to increase access to PrEP/PEP, the New York State Department of Health AIDS Institute (NYSDOH AI) is compiling a list of providers that prescribe PrEP/PEP for a voluntary directory. Please complete your clinic/provider information as requested below. * 3. Would you or your agency like to be included in this directory as a PrEP/PEP provider or as a contact that offers referral services? **Please note; we often see miscommunication issues and find that providers will say that they prescribe PrEP/PEP but other staff members at their practice site/clinic are unaware of that or have no knowledge of PrEP/PEP at all. If you do prescribe PrEP/PEP, please ensure that all other staff members are aware of this and can direct patients accordingly. * 4. Do you currently prescribe daily tenofovir/emtricitabine (Truvada®) for pre-exposure prophylaxis (PrEP) of HIV infection? * 5. Do you currently prescribe post-exposure prophylaxis (PEP) for possible HIV exposure? * 6. Any special directions for patients, when calling for PrEP/PEP? * 7. How many patients are you currently prescribing PrEP (Truvada®)? This information provided will be compiled into a voluntary directory of PrEP/PEP providers, and published on our external site. This information will also be included in a national registry of PrEP prescribers so that we may work together with our bordering states to address regional gaps in access to PrEP. * 8. I understand that participation in this public directory is voluntary. I understand that by sharing the information above, I am agreeing to have this information be publically listed on the NYSDOH website and a national PrEP registry (with the exception of email address, email information is for NYSDOH internal use only). I understand that inclusion in this directory does not confer any endorsement by the NYSDOH nor does it establish NYSDOH credentialing or certification in a specialty. Please provide information on other clinics/providers who, to your knowledge, are prescribing PrEP/PEP.